For Hit me with your best shot this week, we looked at the 1976 Scorsese classic "Taxi Driver". This complex film could be interpreted under numerous genres like crime, neo-noir or romance, but above all, it's a fascinating character study of its titular vigilante. Robert De Niro gives one of his most compelling performances as Travis Bickle and his character arc is what I was most drawn to for my best shot. 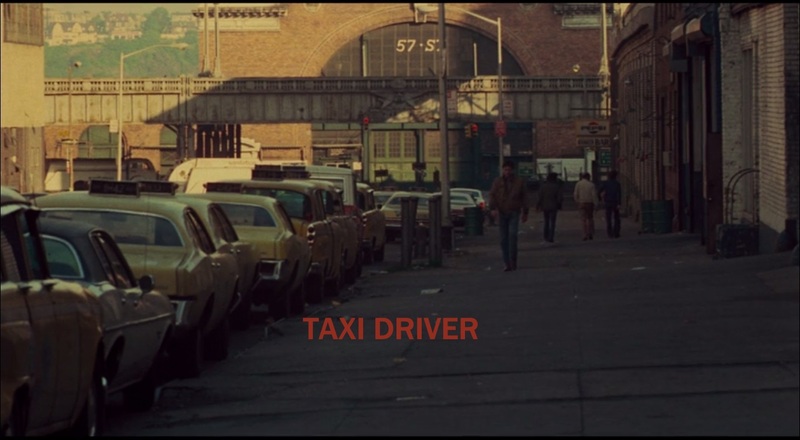 It's quite clear early on in "Taxi Driver" that this isn't the dreamy Woody Allen version of New York, but rather a grungy vice-ridden place like the one we saw in "Paris is Burning". Bickle's rant about the various scum - whores, skunk pussies, buggers, queens, fairies, dopers, junkies, sick, venal - certainly calls out the patrons of that underground ball scene. As we watch his struggle to cope with this hellish city, it's interesting to think about the motivations for his actions throughout the film. Of course, the biggest statement he makes is when he takes justice into his own hands, saving Jodie Foster's Iris from her life of teenage prostitution. On the surface it's a benevolent act, but there's also a level of public performance to it. We get hints of that from his new identity-changing mohawk, as well as the shots of newspaper clippings proudly displayed on his wall after the pivotal incident. The shot that really seals it though, is the one above. 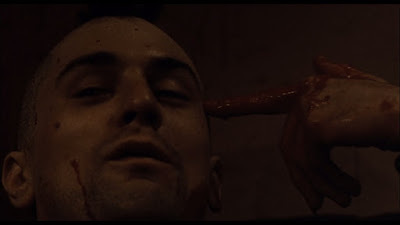 With this iconic gesture - mimicking a gunshot to the head - he's consciously cementing his legend status for us the audience, as well as the affected characters within the film. Boom! The shot is brilliant...just brilliant! Tough to beat that shot. It so damn good. My favorite is the reveal of Travis' mohawk. The beast is finally revealed.